While cholesterol is an essential fat needed for many metabolic processes. Too much cholesterol in the blood can damage your arteries and lead to heart diseases. Our liver produces about three-quarter of the cholesterol in the body while the rest may come from the types of fats we eat. This means cholesterol in our diet has a small effect on blood cholesterol. Making lifestyle changes, especially changing some of the foods you eat, is very important to help reduce cholesterol levels. Start by evaluating your eating habits and daily routine. 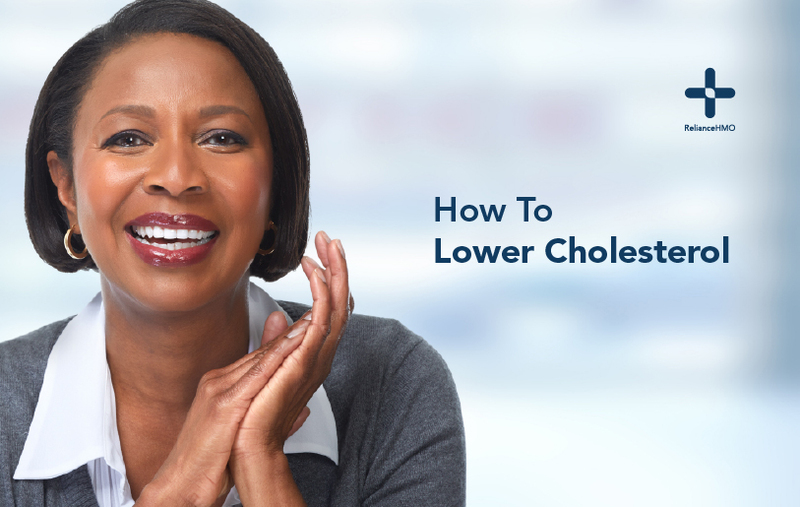 While you don’t necessarily have to lose a lot of weight to significantly lower your cholesterol. Losing as little as 2.5kg can lower total cholesterol dramatically. If you are not overweight, concentrate on maintaining a healthy weight. Make sustainable lifestyle changes like increasing physical activity and eating healthy. Trans fats are notorious for increasing ‘bad’ cholesterol level and increasing the risk of cardiovascular diseases. Restaurants and Fast food outlets are major vehicles for trans fat products. Food products like deep fried chicken, cakes, biscuits and donuts often contain trans fats. Whenever you are purchasing packaged foods, check the ingredients for ‘partially hydrogenated vegetable oils’ or ‘hydrogenated oil’ and avoid them. Some healthy alternatives include olive oil, nuts, avocados and peanut butter. Besides improving your diet to lose weight, you should also work on your exercise program. Moderate physical activity can help raise high-density lipoprotein (HDL) cholesterol, the “good” cholesterol. Add physical activities like brisk walking, swimming or cycling to help you lose some weight and bad cholesterol. You can lower high cholesterol by eating foods rich in soluble fiber. Soluble fiber causes the body to use cholesterol from the blood stream to make bile acids. Sources of soluble fiber include beans, oats, vegetables, and fruits. Besides lowering cholesterol, these fiber soluble foods also make you feel full, reducing your appetite for unhealthy snacks. Foods rich in omega 3 fatty acids are good for lowering cholesterol. Studies indicate changes such as an improved lipid profile and reduced risk of cardiovascular disease and sudden death. Sources of omega-3 fatty acids include mackerel fish, walnuts, tuna, sardines and egg yolk.